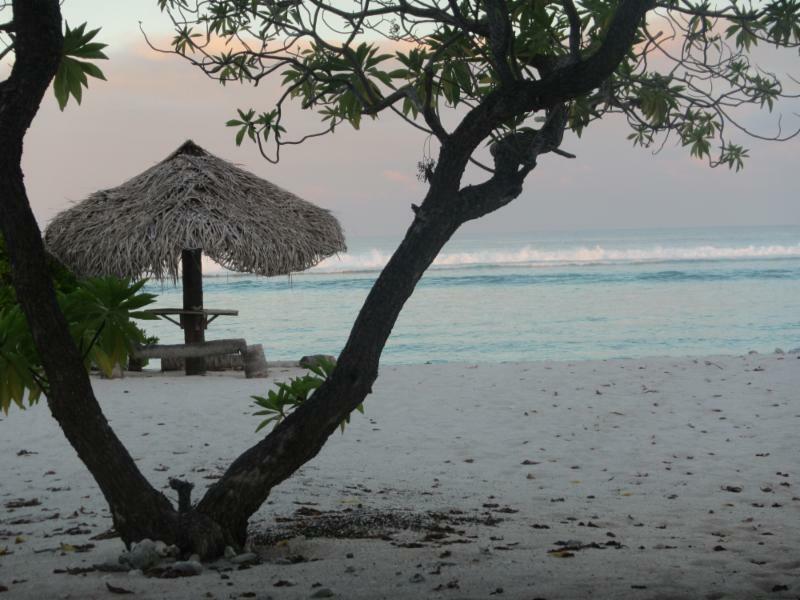 Providence Atoll ranks among the largest and least discovered fishery in the Seychelles. It has vast open sand flats, large areas of turtle grass and intricate coral heads scattered throughout deeper waters. Providence Atoll is just short of being the most southerly atoll in the Seychelles and contains two major land masses, namely Providence North and Cerf Island. This remarkable atoll has remained largely untouched, with fewer than a thousand people having visited this tropical wilderness in the last century. 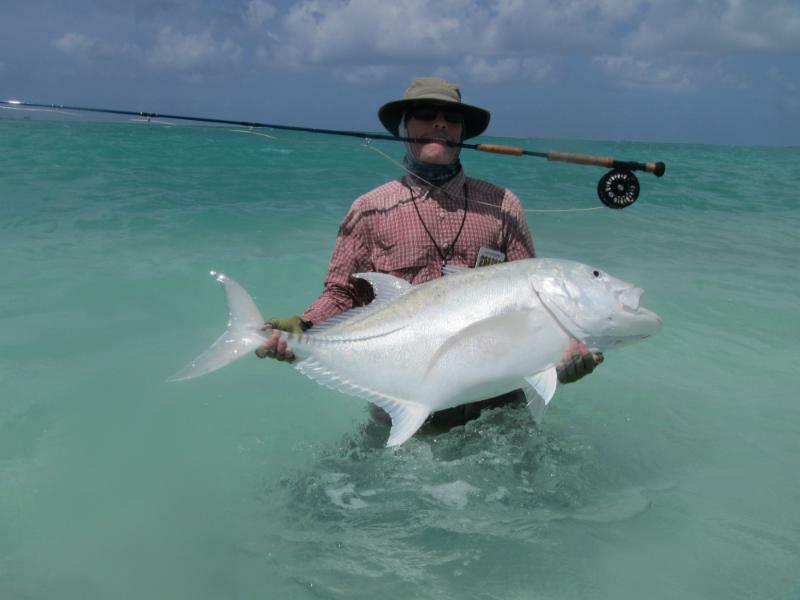 After guiding on Providence from 2004 – 2009 the Fly Castaway guides are now convinced that Providence is the most exciting and diverse fly-fishing destination they have ever encountered. The sheer size and amount of fish holding area makes both the flats and offshore angling potential almost limitless. It is a true fly-fishing wilderness! 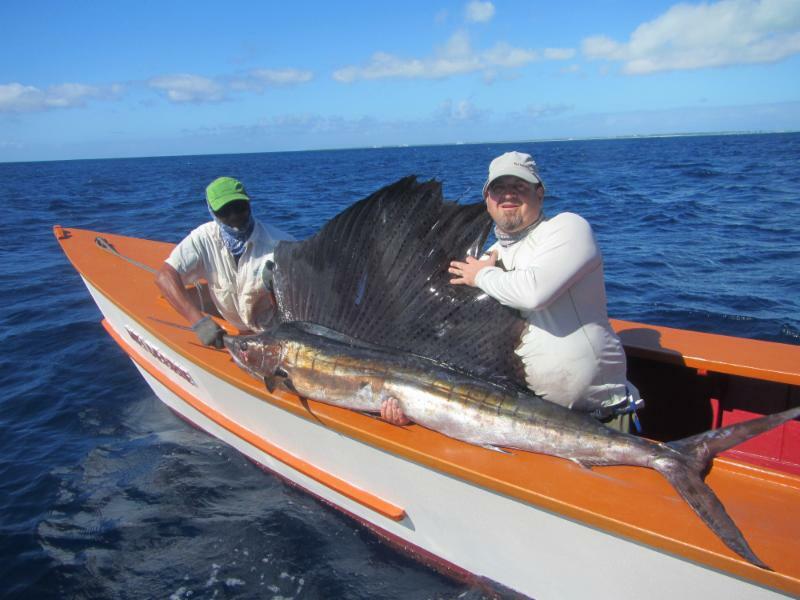 Providence offers fly fishermen the opportunity to wade and sight fish a possible 46 kilometers of pristine sand and Turtle grass flats, an enormous lagoon system as well the numerous channels which link these structures with the Indian Ocean. Anglers can expect to target record size Giant Trevally, Bonefish, Triggerfish, Indo Pacific Permit, Milkfish as well as Bumphead Parrotfish. Due to its size and diversity fly castaway will be placing five of their extremely talented and experienced guides on this remarkable atoll, together with five tender boats to be used exclusively on Providence. These tenders will surely improve both flats accessibility and help maximize the fantastic offshore fishery Providence is blessed to have! Guests are expected to arrive in Mahe the day before the charter flight to Farquhar. The group will meet an hour before the scheduled departure time at the domestic terminal (next to the international terminal). The flight from Mahe to Farquhar is one hour forty-five minutes onboard a private chartered Beechcraft 1900. Guests are then transferred in true island style via tractor and trailer on a short fifteen-minute ride to the slipway from where they are transferred to the mothership, which carry them across to Providence (6-8 hours) and will be their home and base for the week’s fishing. The Average Day: Typically, anglers will be up early and after a quick breakfast head out to the flats to fish the first tide. After the session they’ll be collected and returned to the boat for lunch before heading out later the afternoon for the second fishing session. During the midday break anglers can snorkel, or just laze around and rehydrate in an air-conditioned environment. There is however an option to stay out on the flats with a packed lunch if the prime tidal movement coincides with the lunch break. The following day’s activities and schedule will be planned the night before between the guides and the captain. If you have any preferences, please feel free to mention it to the guides. Current tidal movement and the species anglers wish to target will be taken into consideration. Flats: Providence has two major land masses namely Cerf Island in the extreme south and North Island at the most northern part of the atoll. The seemingly endless flats not only surround both these islands but run uninterrupted the entire 40 odd kilometers in between. They are primarily made up of Turtle grass, with the larger white sand flats being found around the islands. Most of the flats are hard, making them ideal for wading. Fishing on these flats for species such as Bonefish, Permit, Milkfish, Giant Trevally, Triggerfish, Great Barracuda and Bumphead Parrotfish must rank as the best in the world at present. 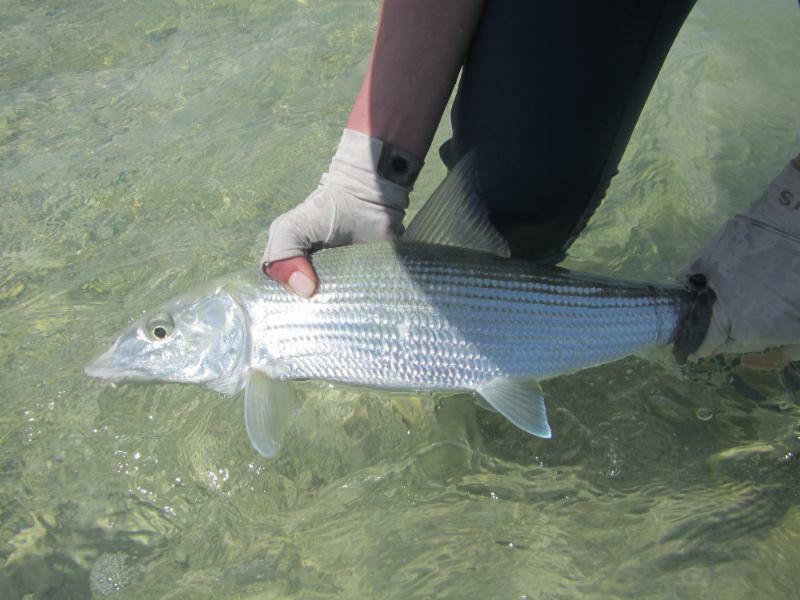 The guides will lead you onto the flats and help you identify the desired target species, the areas which they frequent and the explain the correct techniques with which to catch them. Bluewater: Deep water begins very close to shore at most of the anchorages and it is possible to fish these waters from the tenders. Here the most common species encountered are Dogtooth Tuna, Giant Trevally, Barracuda, Wahoo, Yellowfin Tuna, Sailfish and the occasional Striped Marlin. Standard tackle is a 14 – 15 weight, usually rigged with a 700 grain or heavier line and/or an intermediate billfish taper. Surface fishing in blue water with the aid of teasers is also possible with large bait fish imitations from sizes 6/0 and upward being recommended. 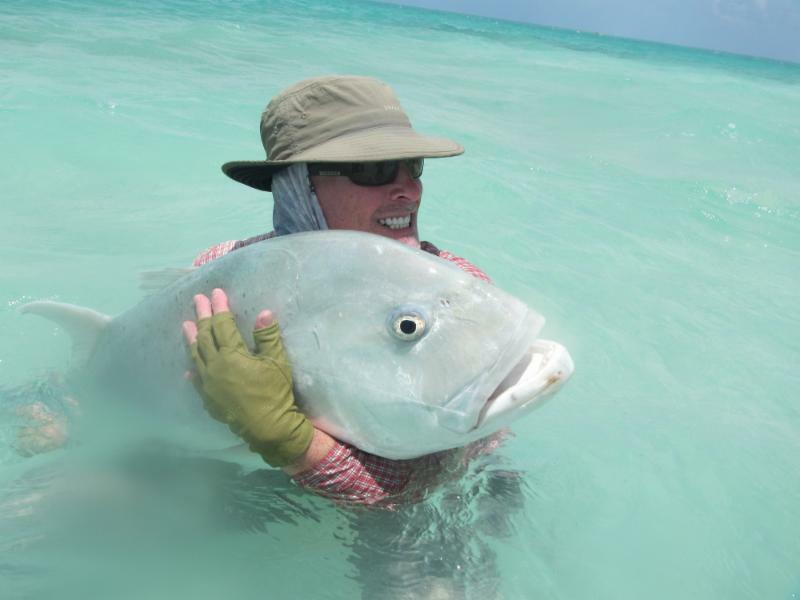 All Fly Castaway guides are experts in rigging, teasing and the handling of blue water fish. The Mayas Dugong is an ex-research vessel which has been upgraded and modified into a mother ship catering for long-range fly-fishing expeditions. She is rustic and can accommodate up to 12 fly fishermen, four guides, as well as 8 crew and 4 security who cater for your every need. A large, spacious and extremely stable vessel, she is the perfect base with which to explore the remote outer atolls of the Seychelles and other Indian Ocean waters. As a fly fisherman it would be difficult to find a better boat from which to operate out of, with its ability to store and transport four tender boats on its spacious aft deck. Because of its large size and high fuel storage capacity, The Mayas Dugong can cover long distances at good speed and comfort in almost any sea conditions, opening up new possibilities for exploring the Seychelles and surrounding areas. The Dugong is four level vessel which offers 7 spacious guest cabins situated either on the middle, main or lower deck. Each has an en suite shower and flushing toilet. The vessel also offers a comfortable salon and dining area. All cabins and indoor dining or entertainment areas are fully air conditioned, allowing guests a chance to relax in a comfortable environment after a long day fishing out on the flats or offshore. On the mid deck she is spacious and boasts a large elevated area with a magnificent view of its surroundings. This area is perfect for dining, sundowners and general relaxing. The lower deck’s primary function is to store the tender boats and fishing tackle. The stern of the vessel has a set of stairs leading down to a large swimming platform, perfect for fishing from. This feature also allows for a safe and comfortable transfer from the tender boats to the main vessel. The chef prepares a mix of Creole and international food. Fresh fish can be served everyday if requested. The season at Providence are from late October after the southeast monsoon to the end of April, before the southeast monsoon starts again. The wind speed and direction are less constant at this time of year and the temperature is higher. It is a very arid atoll and experiences seasonal droughts during this time. The temperatures and humidity can range from 77 F at 80% to 90 F at 95%.